How Do You Best Respond When Kids Question Their Faith? Not too long ago my father and I sat down with the nice folks at Thriving Family magazine to discuss how parents should respond when their kids question faith. I hope our answers are both encouraging and equipping. Enjoy! Josh, did you ever wonder if your son would someday question the faith you had taught him? Josh: I always prayed for the day that my kids would doubt Christianity because everybody must personalize their faith. If our kids never struggle with their faith, they will have borrowed convictions. So I had been waiting for each of my kids to come to this point. When your son revealed his uncertainties, how did you respond? Josh: I was actually excited! One goal in raising kids is to help them independently recognize God’s love. So I told Sean he was wise to question the things he had been taught. And I gave him two pieces of counsel: First, I told him that if he honestly sought the truth, he would find it. Second, I told him not to reject something simply because it was part of his parents’ faith. Sean, no doubt this was a difficult conversation to begin with your father. What was your reaction to your father’s words? Sean: I knew in my heart that my parents would love me no matter what, but I think I really needed to hear my dad say it. So it meant a lot to me when he said that he and Mom would love me no matter what I concluded. And I was grateful for his reassurance, too, that I would discover the truth if I looked for it. And that’s exactly what I did. Talk about that search for truth and the conclusions you came to. Sean: I started studying, reading books by Christian apologists and skeptics. I read as much of both sides as I could. And after much reflection, I came to the conclusion that my faith was well-grounded. The evidence for Christianity is compelling, but the thing that struck me the most was Jesus of Nazareth. I just couldn’t explain how a man with no political or military power could have such a world-changing impact. And it wasn’t just the historical evidence that shook me — it was also His insight into the human condition. The central problem with the world, according to Jesus, is the wickedness of the human heart. We want to do everything our way. Even though I was a pretty decent kid growing up, I began to clearly recognize my own pride and rebellion against God. I, too, needed a savior. You’re now a father and have a thriving apologetics ministry of your own. What advice would you give to parents whose kids express doubts about Christianity? Sean: First, I’d tell them not to panic. I generally see kids doubting their faith as a good thing. As a teacher, I spend much of my time and energy trying to convince kids that their beliefs about God really matter. When young people say they doubt their faith, I know that they are at least thinking about important issues, and they want to know the truth. This is a good start! However, it’s important to recognize that not all doubt is equal. Doubt can be driven intellectually, but more often than not, it is driven by emotional or volitional reasons. And while emotions are good and normal, they’re not always correct. Unfortunately, those emotions get projected onto an intellectual question, and it becomes really easy to confuse the two. Astute parents can see through the doubts to their kids’ hearts and help them sort out the emotions from the intellectual concerns. 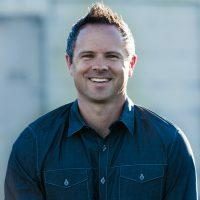 Josh: If your child’s doubt is rooted mostly in emotion, it’s a good idea to share how you came to the conviction of your own faith. What led you to believe it was true? It’s also critically important to reinforce that your love is not based on the conclusions your child comes to. He needs to know his doubts will never change your love for him. This sets a child free to look for truth intellectually, not based on emotion. Sean: Remember that the freedom kids feel to express their doubt is largely due to the relationship parents have built with them before they hit this period. And if kids know they are unconditionally loved and cherished, they will be much more receptive to the involvement and loving guidance of their parents during questioning periods. What would you say to parents of children who have completely rejected the Christian faith? Sean: I can only imagine how painful this would be for parents. I have talked with many moms and dads who have gone through this, and my encouragement is to just never give up. Keep praying and believing that God can change even the hardest of hearts. Focus on building a healthy relationship with your child. Josh: Right, reinforce that your love for him has nothing to do with his faith. Second, take an honest look at your own life, and ask if there is something in your marriage, family or personal life that has led to this. Often hypocrisy causes young people to question the faith of their parents. Third, pray privately for that child, and be sure not to embarrass him or her publicly. Keep the doors of communication open. Let your child talk and share his beliefs without correcting him or being judgmental. Try to understand what your child really believes, and ask God for wisdom to help channel those beliefs toward good. Knowing that most kids will be confronted by doubts and competing worldviews, how can parents of younger children give their kids a foundation against those struggles? Sean: Be intentional. In Deuteronomy, God instructed the Jews to make biblical teaching part of the rhythm of their daily lives. Do you talk about God at the dinner table? Do you spend time reading the Bible to your kids? Do you pray with them? Do you point out the wonders of creation? Do you encourage critical thinking and genuinely listen to their views? Also, be passionate about your relationship with God. I’m convinced that kids tend to follow the passions of their parents. Josh: Also remember that truth without relationship leads to rejection and rebellion. Make sure you connect with your child in a loving, intimate way rather than through rules or legalism. And as a parent, do your own homework to understand what you believe and why you believe it. This helps build confidence so you can share that with your child in a loving, nondefensive way. If your child likes to read, find books that will help him develop a biblical worldview. If he is open to going to a youth apologetics or worldview conference, send him with a friend or personally take him. So should parents talk through the sorts of challenges that their teens will face in high school and college? Sean: Yes, help kids think through intellectual challenges before they face them elsewhere. I tell my son every night before I put him to bed that he can ask me anything. I want him to ask tough questions and to know that his dad desires to hear what he is thinking. Josh: Parents should definitely anticipate some of the issues ahead of time, especially the main challenges to the truth of Christianity, the Bible, Creation and moral issues. We tackle these big questions in The Unshakable Truth, a resource that we think will really help parents discuss core issues with their kids, including the “knowability” of truth, the existence of God, the reliability of the Bible and the identity of Jesus. A parent who researches these big questions will gain confidence to talk with their children. When we don’t do our research, we tend to belittle our kids’ doubts. It’s much better to parent from strength rather than weakness. Originally appeared in the March/April 2011 Thriving Family magazine, a Focus on the Family publication. Copyright © 2011, Sean McDowell. Used by permission. For more content from Thriving Family magazine, visit www.thrivingfamily.com.